I realized all of these swings, bouncers, and nappers had something in common. They were all positioned in such a way, that recreated a snug and womb-like environment, something all babies love. So I picked apart all the differences between the nappers and her Co-Sleeper bassinet, and created that same snug feeling. First huge difference, they were all elevated. Of course! My baby never slept flat in my belly. It makes total sense that she freaks out when I lay her flat. My Pediatrician recommended I fold or roll a towel under the mattress of the Co- Sleeper. And Ta Da!! She didn’t cry when I put her down!!! Keep safety in mind, just a small incline will do. If you bought the extra leg extensions for your co-sleeper you can actually take off one set for a great and natural incline. With the incline, my baby actually gave the co-sleeper a chance. She stayed in it for a few minutes at first, then eventually longer and longer. 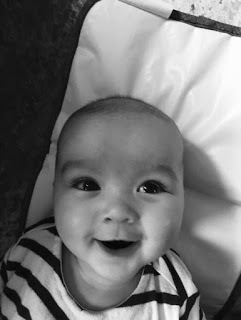 I also gave my baby some “practice time” in the the Co-Sleeper when she was happy and alert, like after a good feeding. I just let her explore in there. This gave her a chance to get use to the Co-Sleeper, and feel safe in something other than my arms. I did this a few times a day, for several days, until one day she just got tired, and even fell asleep in it all by herself. But we weren’t done yet. I knew I had to keep working on this. The second big difference I noticed in her nappers, is that they were all snug. They had padding or newborn positioners, to make baby feel as if she’s being held. Ok got it, HALO Swaddle SleepSack. I remembered I registered for one and haven’t used it. I took it right out and wrapped her all up. Now we’re getting somewhere I thought. I put her down, she’s wasn’t crying and she actually fell asleep! Now for the hardest part, staying asleep. I watched by baby night after night. She was rolling her head around side to side. What the heck was she doing? One night she stretched her neck out like a turtle and dug her face into the top of the co-sleeper and fell asleep! The top of the Co-Sleeper was padded and soft. So she actually used that part of the bed to soothe herself back to sleep. Ok great, now I have to worry about her suffocating because the only way she will fall back asleep is by digging her face into something soft! This was a tough one! Thanks to the SIDS campaign we know that the crib should be pretty bare. No toys, blankets, or loose bedding. What the heck was I suppose to do??? I watched how she napped during the day and noticed the same thing. She liked to fall asleep by putting her face into something soft. Then it dawned on me, let me try some cozy sheets. The ones I had were plain, kind of stiff, regular cotton sheets. She liked things that were soft or plush, so I went on a hunt. That’s when I found these Velour Sheets. They are available for the co-sleeper, crib, and playpen. They are as thin as cotton, no unsafe plush, no padding whatsoever. Its just a thin and very soft velour. And guess what? It worked! Brianna felt that nice soft texture up against her face, she moved her head side to side a few times and was able to soothe herself to sleep. I’m not surprised, that’s probably what she was doing for 9 months in my belly. Believe it or not things are pretty cozy in there. She wasn’t sleeping through the night just yet though. I had to incorporate some sleep strategies. But at this point I saw signs that she was capable of putting herself to sleep independently, as well as soothe herself back to sleep. That was huge! I also use the same techniques for transitioning my baby into the crib. I elevated the mattress for about a week, bought crib size velour sheets, and switched the Halo Swaddle for a sleep sack. A “lovey” also known as a security/transitional object was also a huge help. If you are worried about leaving a lovey in your baby’s crib, Bitta Kidda, makes an amazing product. It’s “LovieSack” which is a sleep sack with the lovey attached for self soothing. It’s genius! I basically re-created a womb like environment to comfort my baby and help her sleep. Kind of makes sense right? It was something so simple but not so obvious without doing some work. Once we figured out how to get her to like her Co-Sleeper, we started working on how to get her to sleep through the night, by using some gentle sleep training. And the rest was history! 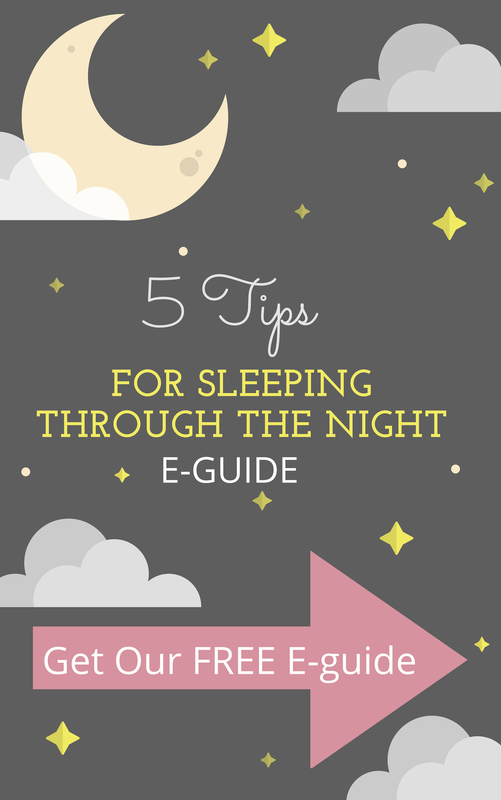 Are you having trouble getting your baby to sleep through the night? I would be glad to help! I am available for individual help! 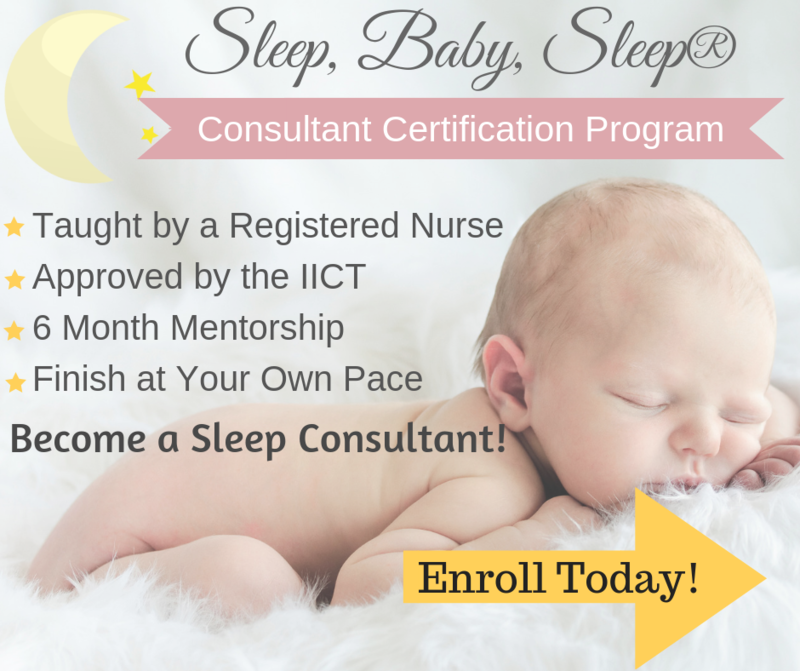 Violet Giannone of Sleep, Baby, Sleep is a Registered Nurse and Baby Sleep Consultant who offers personal consultations to guide you and answer all your baby sleep questions in order to ensure that your little one is getting the sleep that a growing baby needs. Believing there is no “one size fits all” advice for helping a baby sleep, Violet offers personal sleep plans and consultations that take into consideration your baby’s age, sleep history, temperament, and individual circumstances. 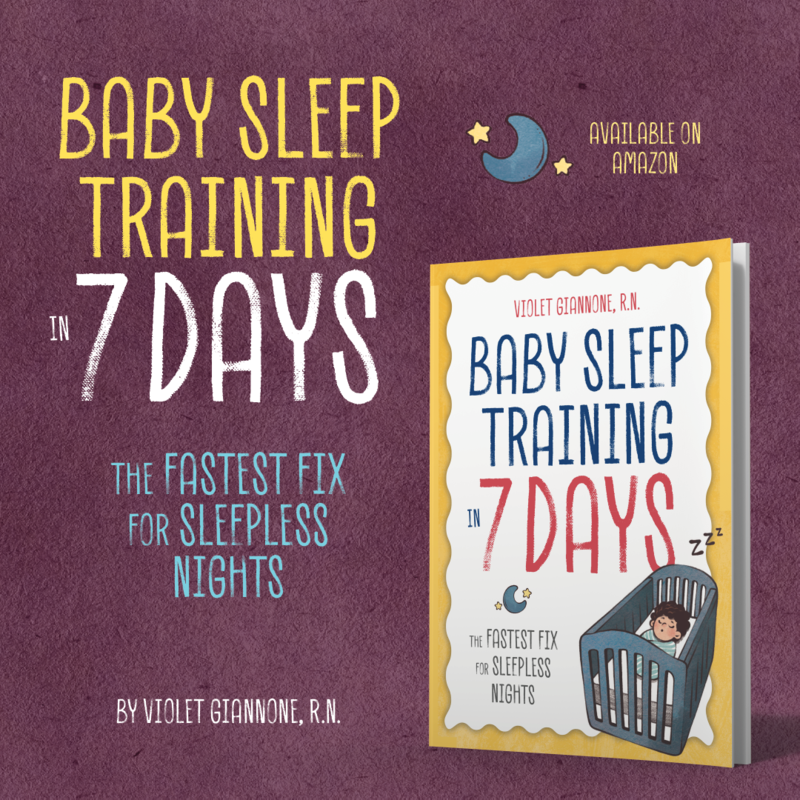 If your baby won’t sleep in the crib, or is having other sleep troubles, Violet can help! 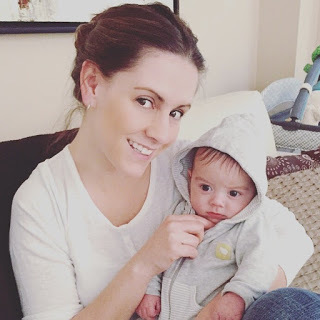 I used a few tips from this post as I was getting lazy to train my 3 month old to sleep in her bassinet. Everywhere it says to make sure the baby is on a firm surface with practically nothing in the bassinet except for a blanket and the blanket shouldn’t be this or that. Well after reading this, I used a chenille blanket and tucked in underneath the matress pad for a softer feel. I used a lightweight blanket and folded it to create a very slight incline. She isn’t fully asleep but she isn’t crying to be let out th bassinet! Good so far!